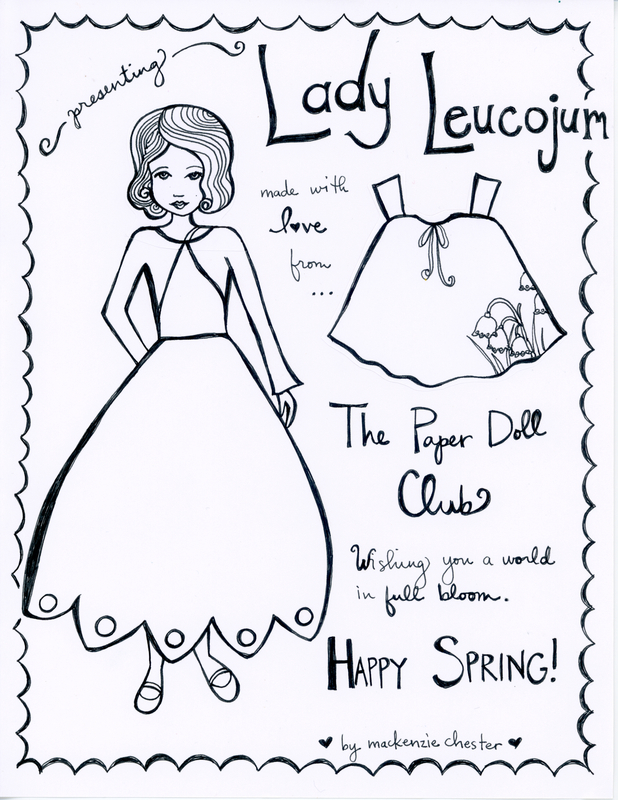 Happy Spring from The Paper Doll Club. I love the girls’ drawings this week. 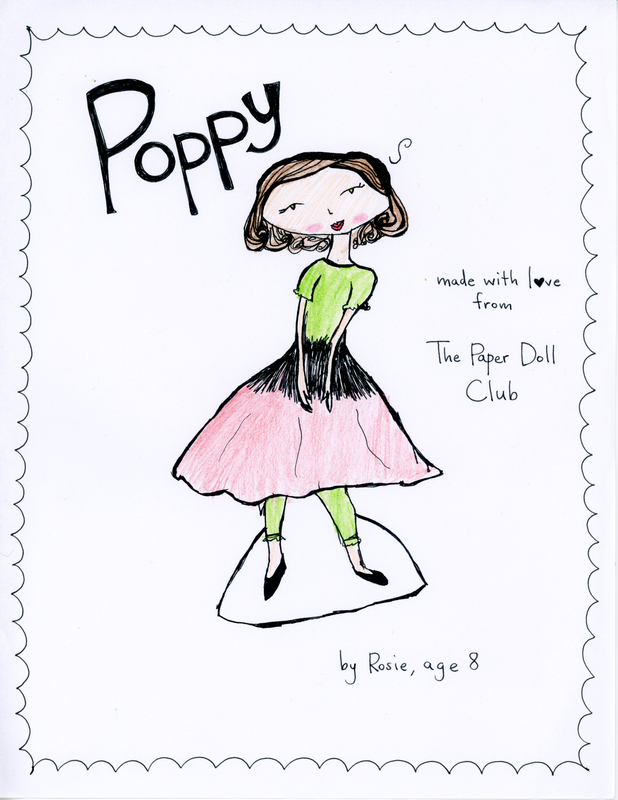 Rosie’s Poppy has a beautiful pink poppy dress. I love everything about this doll. Paloma’s little girls are full of rich details. One of the friends is carrying a basket of easter eggs. I hope you enjoy playing with these paper dolls. Lady Leucojum is based on one of my favorite springtime flowers. I always look for them around the beginning of spring in my Daddy’s garden. On Sunday, I saw them, as beautiful as ever. They are shaped like pure little white bells, with a bright green dot on the tip of each petal. Something about them seems both incredibly humble and uniquely striking. I think they are beautiful and have often thought they would make a beautiful dress for a little fairy. Hope you enjoy this doll. 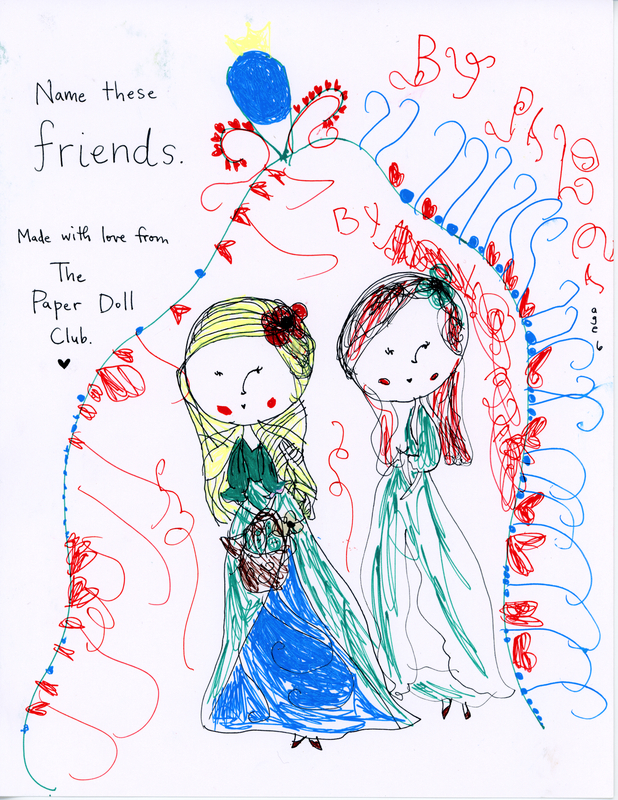 Love from The Paper Doll Club! Love the dolls!! What a great family activity to share.